Cambridge University Press, 9781107003170, 388pp. What if the Hebrew Bible wasn't meant to be read as "revelation"? What if it's not really about miracles or the afterlife - but about how to lead our lives in this world? The Philosophy of Hebrew Scripture proposes a new framework for reading the Bible. 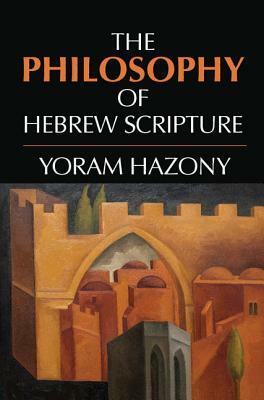 It shows how biblical authors used narrative and prophetic oratory to advance universal arguments about ethics, political philosophy, and metaphysics. It offers bold new studies of biblical narratives and prophetic poetry, transforming forever our understanding of what the stories of Abel, Abraham, Jacob, Joseph, Moses, and David, and the speeches of Isaiah and Jeremiah, were meant to teach. The Philosophy of Hebrew Scripture assumes no belief in God or other religious commitment. It assumes no previous background in Bible. It is free of disciplinary jargon. Open the door to a book you never knew existed. You'll never read the Bible the same way again.